Updated November 15, 2013 by Jay to add the preferred foliage tooltip for the female and young and to remove unnecessary configuration lines and files. 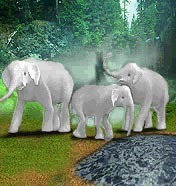 Download the Albino Elephant here. The Albino Elephant was updated November 15, 2013 by Jay to add the preferred foliage tooltip for the female and young and to remove unnecessary configuration lines and files.